6 November, 2012. 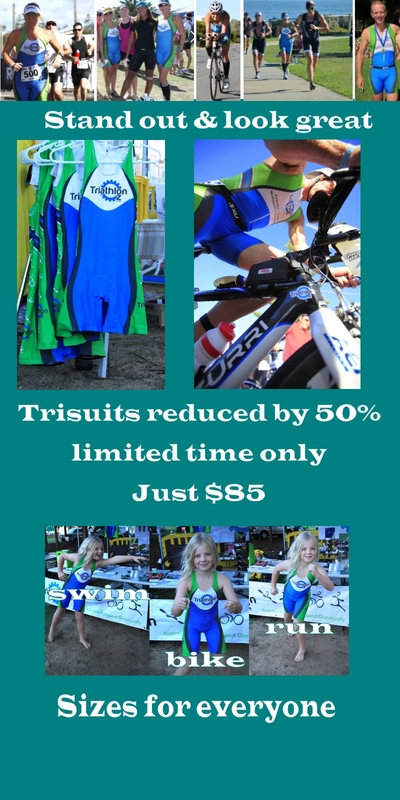 Our trisuits are on sale now for just $85! That's a massive saving of over 50%. In stock and selling fast. Sizes to suit everyone, including older children up to XL men! For the first time ever, we've dropped our price on our uniquely branded, super comfortable, high quality, TriathlonOz branded trisuits - just in time for summer. Plenty in stock now. Get yours now for only $85! Buy yours online here, or call and place your order by phone (08) 9403 3737 during Perth business hours, Monday - Friday. But hurry - this crazy price is only while stock lasts!